Where to visit in Pattaya? 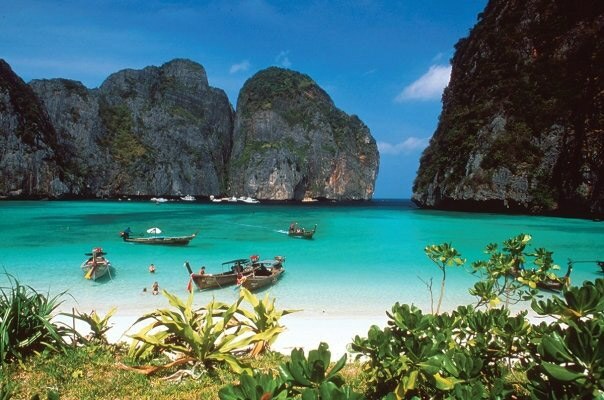 Phuket is the largest island and Premier beach resort of Thailand. It lies in the South-East of the Kingdom. With the mainland, the island is connected with the dam, along which runs a highway. Despite the fact that the favorable time for travelling in Thailand are the winter months in Phuket relaxing break you can enjoy almost year-round. Emerald hills, rubber plantation, tropical forest, groves of coconut palms, white beaches stretching along the coast, crystal clear waters of the Andaman sea – this pattern is presented to the guests in Phuket. This island is famous for its ideal conditions for diving – the terrain is full of a variety of forms, and the underwater world is extremely rich. In addition to natural beauty on Phuket , there are many cultural attractions that are definitely worth seeing. Among them special place is occupied by the Buddhist monasteries. The most famous and most visited temple on the island is Chalong. It is located in the heart of Phuket. Here are the remains of the Buddha brought from Sri Lanka. Naturally, when visiting temples it is necessary to observe elementary rules of decency in terms of outerwear. Shorts and mini-skirts in such places is prohibited.Fans enjoy the views of amazing wildlife, you can recommend to go to the national Park of Phuket located at Cape Panwa. It is an oasis of untouched nature. Nothing here reminds of civilization. The highlight of the Park is the Oceanarium, where you can see various representatives of tropical fish in the Andaman sea.About the rich history of the island will tell you the exposition of the Museum of Thalang. Here you can see the household items of the islanders, until the weapons with which they fought during the Burma war.To visit Phuket and not visit the so-called Thai village, would be a crime. It is possible to see the traditional dances of the Thai people, battles with swords, cockfights, elephant show, Thai Boxing. Here goes, and exhibition of local crafts, where you can buy jewelry, handbags, cane, wicker products, kitchen utensils, silverware. We can not say about the butterfly Garden located in the village of Samkong. In the Park, despite the name, also butterflies of various colors, live reptiles and exotic fish.Should make a trip to the nature reserve of Khao Phra, where you can see with your own eyes a real water extravaganza – the Ton SAI waterfall. In addition, it is home to porcupines, macaques, Gibbons, lots of birds, bears.The largest city of the island has the same name – Phuket. Despite its small size, the life of the city is boiling. Visitors can find bars, discos, pubs, restaurants with dishes to suit all tastes and live music. One of the most popular restaurants in Phuket is "Ban Rimp". Its menu features Thai dishes, such as fried lobster with beans, soup with coconut milk.